Thursday, February 28, 2013 ratings — New Episodes: Zero Hour, American Idol, Community, and 1600 Penn. Specials: Jimmy Kimmel Live: After the Oscars (rerun). Episode Reruns: The Big Bang Theory, Two And A Half Men, Person Of Interest, Elementary, Scandal, The Office, Parks And Recreation, Law & Order: Special Victims Unit, The Vampire Diaries, and Beauty And The Beast. 8pm – Zero Hour: 1.0 in the demo (-9% change) with 5.03 million. 9pm – Scandal: (rerun) 0.9 in the demo with 3.34 million. 10pm – Jimmy Kimmel Live: After the Oscars: (special, rerun) 0.8 in the demo with 2.76 million. 8pm – The Big Bang Theory: (rerun) 2.8 in the demo with 10.69 million. 8:30pm – Two and a Half Men: (rerun) 2.2 in the demo with 8.36 million. 9pm – Person of Interest: (rerun) 1.9 in the demo with 9.50 million. 10pm – Elementary: (rerun) 1.6 in the demo with 7.72 million. 8pm – The Vampire Diaries: (rerun) 0.4 in the demo with 1.14 million. 9pm – Beauty and the Beast: (rerun) 0.3 in the demo with 0.80 million. 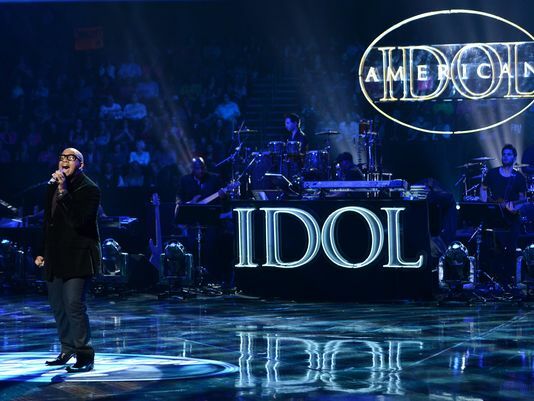 8pm – American Idol: 3.8 in the demo (-3% change) with 12.47 million. 8pm – Community: 1.1 in the demo (0% change) with 2.74 million. 8:30pm – Parks and Recreation: (rerun) 0.9 in the demo with 2.16 million. 9pm – The Office: (rerun) 1.0 in the demo with 2.26 million. 9:30pm – 1600 Penn: 0.9 in the demo (-10% change) with 2.23 million. 10pm – Law & Order: SVU: (rerun) 0.9 in the demo with 3.80 million. What were you watching last night? Zero Hour, other new episodes, or something better?